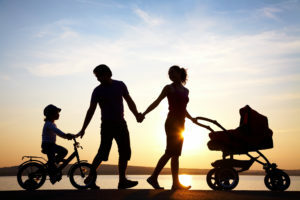 As a general rule, a parent is under no duty to contribute to the support of his or her child after the child has become emancipated. Emancipation usually occurs by age or marriage, Moreover, in 2017, our State Legislatures passed a new law stating that child support shall terminate when the child turns 19 years old, gets married, or enters the military. However, the parents can reach an agreement or the court can order that emancipation occur at a later date. The new statute further provides that support shall not last beyond the age of 23. Nevertheless, there has been a growing trend in our State and other states around the country obligating parents to contribute financially to the college education of a child even though the child has reached the age of majority. In the seminal case of Newburgh v. Arrigo, 88 N.J. 529 (1982), our Supreme Court set forth a non-exhaustic list of twelve factors the family court should consider when evaluating a claim for college contributions. (12) the relationship of the education requested to any prior training and to the overall long-range goals of the child. In sum, the Newburg Court was expressing that if the parents planned on financing their child’s education and they had the ability to pay for the costs, then college contributions should be awarded. On top of the Newburg factors, our Supreme Court added another important factor to the analysis in the Gac v. Gac, 186 N.J. 535 (2006) case. In Gac, the Court emphasized the importance of making a timely request for college contributions so a parent can participate in the decision and plan his or her expenses accordingly. The Court stated that as soon as practical, the parent or child should communicate with the other parent concerning the many issues inherent in selecting a college. At a minimum, a parent or child seeking contribution should initiate the application to the court before the expenses are incurred. The failure to do so will weigh heavily against the grant of a future application. Another important case concerning college costs is Nebel v. Nebel, 103 N.J. Super. 216 (App. Div. 1968), which established the “Rutgers Rule.” In Nebel, the defendant-father argued, in part, that he should not have to pay for a private college like Lafayette when his son could receive an equal education at a state school like Rutgers. The Court held that the defendant’s position was reasonable. The Nebel Court ruled that the father’s income and assets, though adequate, are modest by today’s standards. The Court further ruled there is nothing in the record to indicate that the child could not gain admission into Rutgers or the courses there are not adequate for the child’s needs. Consequently, it is quite fair, under the circumstances, to limit defendant’s college expense obligation to the approximate cost of an education at Rutgers. Accordingly, if you or a loved one need assistance with a family matter, please contact our office now for immediate assistance at (908)-356-6900. The initial consultation is always provided free of charge.